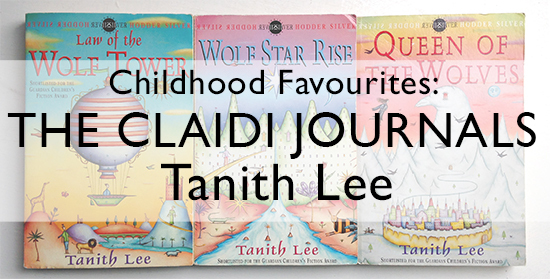 Law of the Wolf Tower, Wolf Star Rise, Queen of the Wolves (and Wolf Wing, which I've only just realised exists- oops) make up The Claidi Journals series by Tanith Lee. News broke of Lee's passing a few weeks ago, so it felt like a good time to write about this childhood favourite of mine. I absolutely loved this series, which I must have read around the age of 10-12, and reread many times again. I just got so lost in the worlds Lee created- the gardens of (the second book?) especially, and all the different towns they had to travel through, which seemed to be almost completely isolated communities popping up across a kind of post-apocalyptic wasteland. The sheep land is maybe my favourite. The travelling Hulta were wonderful too. I had no idea Tanith Lee had written 90 novels, so I should probably get to work on remedying that!